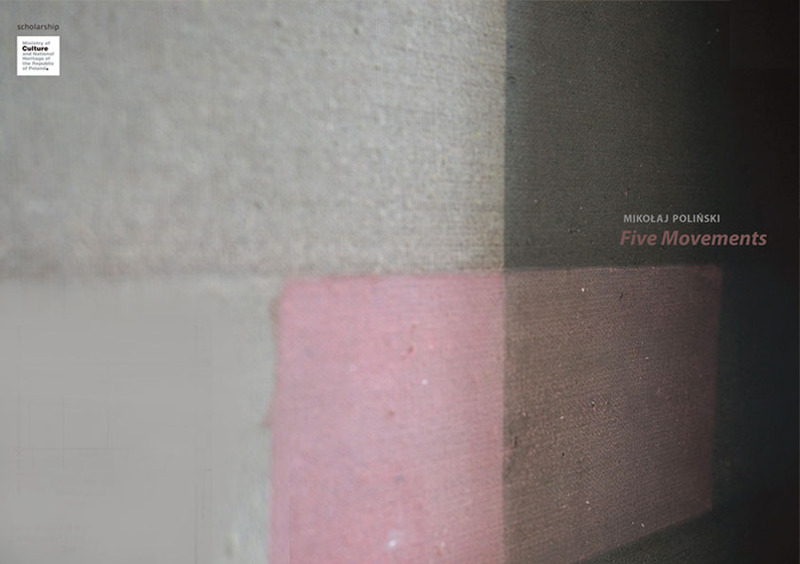 "Five Movements" can be imagined as a chamber piece of music for violin and piano - a partite. The piece consist of five paintings, five shades of grey, five impulses, five gestures and five performance movements. Born 1977, Poznań. Graduated from the University of Arts in Poznań and studied at the Universität der Künste in Berlin. Works in the fields of painting, drawing and installation and is concerned with the relationship between the visual arts, music and sound. Teaches at the University of Arts in Poznań. 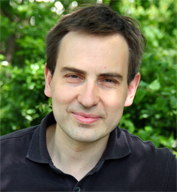 Lives and works in Poznań and Berlin. Mikolaj Polinski lives and works in Poznań and Berlin. 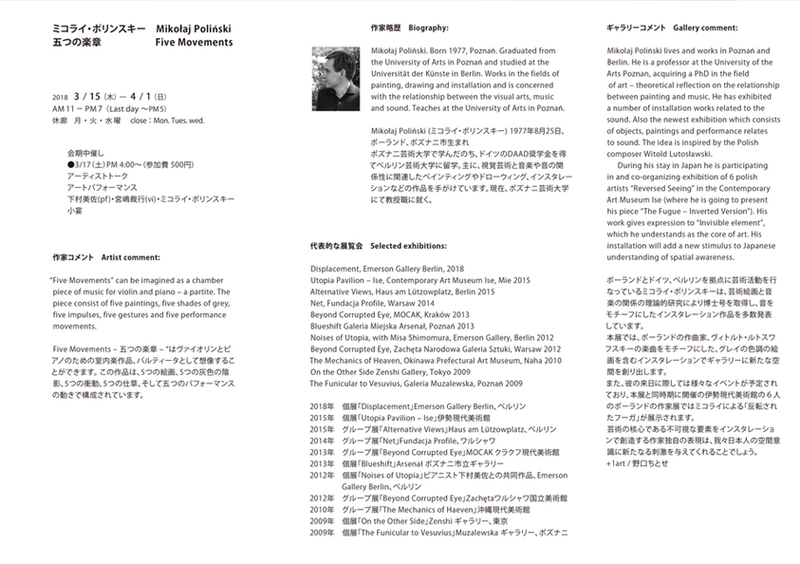 During his stay in Japan he is participating in and co-organizing exhibition of 6 polish artists "Reversed Seeing" in the Contemporary Art Museum Ise. (where he is going to present his piece "The Fugue - Inverted Version". His work gives expression to “Invisible element”, which he understands as the core of art. His installation will add a new stimulus to Japanese understanding of spatial awareness.